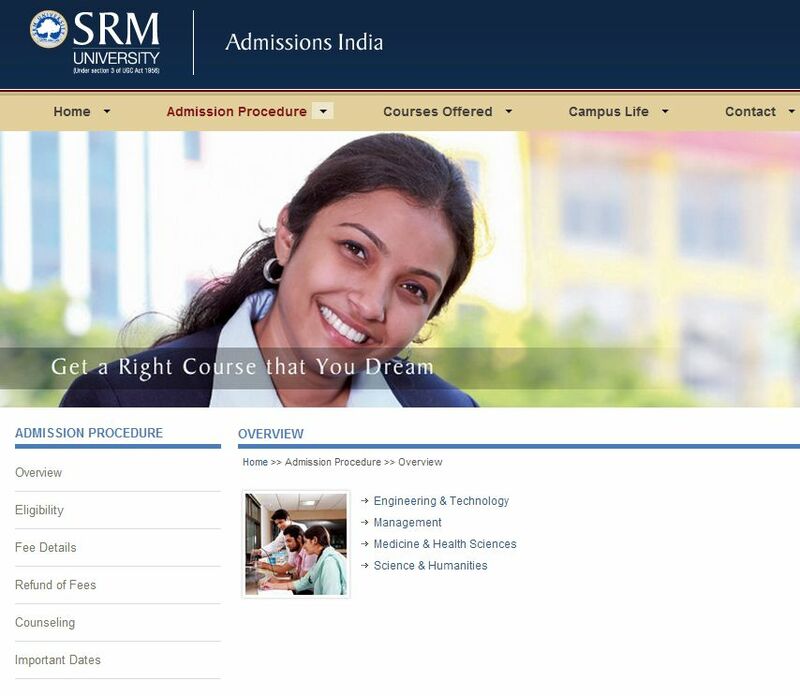 Will you please tell me from where I can apply online for taking admission into the UG course at the SRM University? give me the information soon? 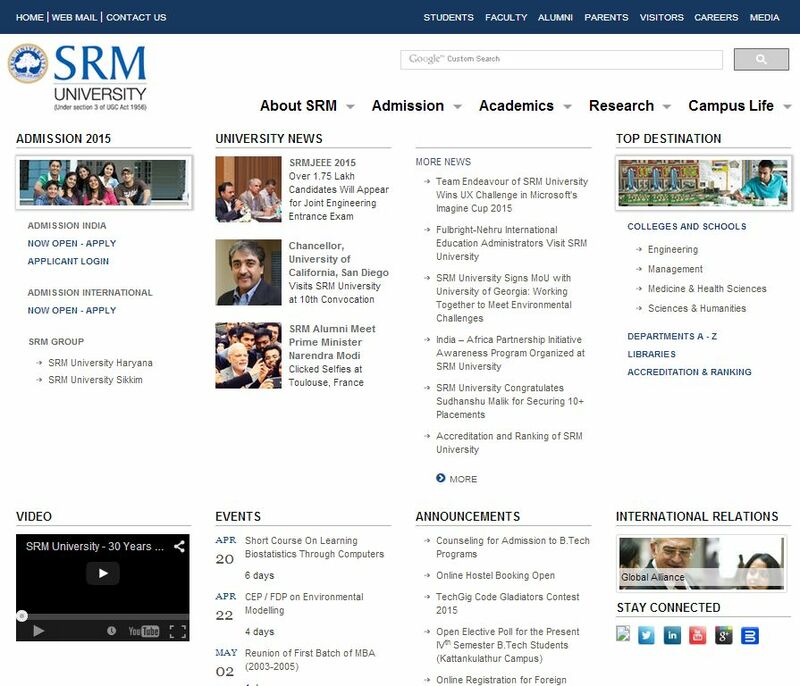 The SRM University stands for Sri Ramaswamy Memorial University. It is a co-educational private university which is located in the state of Tamil Nadu, India. It is also known as SRM Institute of Science and Technology. It was established in 1985 as SRM Engineering College in Kattankulathur, under University of Madras. Then move to cursor to the Admission tab and click on the Admission India and then select the course which you want to apply then fill all the details and click on the â€œ proceed to applyâ€� button.